Initially known as the International Committee of the Order of Malta Against Leprosy – created in Geneva in 1958 following the International Conference for the Defense and Social Rehabilitation of Lepers organized by the Grand Magistry of the Sovereign Order of Malta – CIOMAL became the CIOMAL Foundation (Campagne Internationale de l’Ordre de Malte contre la Lèpre) on 4 April 1999. The mission of the CIOMAL Foundation is to provide assistance to people currently or previously affected by leprosy – who are often victims of exclusion – for their medical and socio-economic rehabilitation. It must be noted that the disease is still officially present in more than 100 countries. Since its creation, CIOMAL has funded and managed centers providing prevention, health care, social rehabilitation and medical staff training in agreement with the governments of the concerned countries. CIOMAL carries out its own projects but also coordinates the projects of the Sovereign Military Order of Malta to fight leprosy and support its victims. 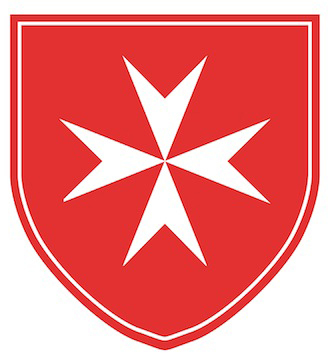 The Order of Malta is active in many countries, in Asia as well as in Africa and South America, through its National Associations, its Grand Priories and its relief agency, Malteser International. CIOMAL has a strong presence in Cambodia but remains attentive to the needs of neighboring countries in Southeast Asia as well as other countries in Latin America. CIOMAL currently manages in Cambodia a major program to fight leprosy throughout the whole country. In this program, priority is given to the early detection and rehabilitation of patients in order to spare them as much as possible the irreversible consequences of the disease. CIOMAL is also dedicated to the rehabilitation of the patients at the Kien Khleang center in Phnom Penh, who receive personalized physiotherapy as well as adjusted prosthetic limbs or orthotics if necessary. CIOMAL also assists them in their efforts to reintegrate into their community. The social and economic dimensions – through basic vocational training and the development of economic micro-activities – are an integral part of the programs. CIOMAL is a charitable organisation under Swiss law. It is made up of a Foundation Board which meets once a year to establish and follow up its projects, an Executive Council, and a permanent secretariat in charge of supervising its programmes. With the exception of the Secretary General and her deputy, the members of the Committee and the Executive Council provide their services free of charge. CIOMAL designs its projects to be as cost effective as possible; in particular, CIOMAL reinforces the self-sufficiency and consistency of the field programmes, with the aim of reducing the psychological distance between patient and medical staff. At the Swiss national level, CIOMAL is a member of ZEWO (The Central Bureau for Charities), which guarantees the general public that its members can be held accountable against their commitments. CIOMAL is obligated to submit its annual audited accounts to ZEWO. The budget of CIOMAL consists of private and public donations as well as institutional funding. The CIOMAL Foundation has received the financial support of the Novartis Foundation, the ANESVAD Foundation, Netherland Leprosy Relief, the Peter Donders Foundation, the State of Geneva, the City of Geneva, the Order of Malta-France, the Raoul Follereau Foundation, the Global Fund for Forgotten People, the Kiwanis Club of Geneva, the Fondation Dubois-Barbier-Spaenhoven, the Club del Tappo, the Associations of the Order of Malta, as well as all of our public and private donors. Every year, CIOMAL’s accounts are audited by PricewaterhouseCoopers. Every year, an independent fiduciary controls CIOMAL’s accounts, which are then submitted for review to the supervisory authority, in this instance the Federal Supervisory Board for Foundations in the Federal Department of Home Affairs.